Zimbabwe is in this economic and political mess because we have again and again failed to define our problem(s) and, as one would expect, have failed to come up with working solution(s). With no working solution, we have blundered from pillar to post. Top on the national agenda is the ever worsening problems of serious economic meltdown and political paralysis. Many people are calling for political dialogue between the ruling party, Zanu PF, and the main opposition party MDC Alliance as the way forward. Sadly, this is not a well thought out solution, as usual! 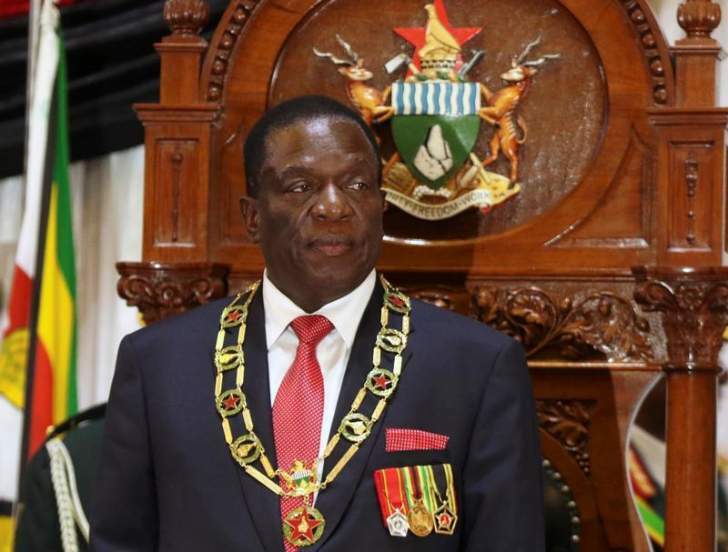 "Pressure mounted on President Emmerson Mnangagwa and MDC Alliance Nelson Chamisa last week to engage in dialogue to solve the country's worsening economic and political crisis," reported The Standard. "Chamisa ignored an invitation by Mnangagwa to attend last week's dialogue with other July 30, 2018 presidential election candidates as he insisted on a neutral mediator. "The president also failed to attend a breakfast meeting organised by churches last Thursday to initiate dialogue between Zanu-PF and the opposition, but Chamisa attended." Zimbabwe has been stuck in this economic and political mess all these years precisely because Zanu PF has rigged elections. It is as clear as day that any solution for Zimbabwe must address this thorny problem of stopping Zanu PF rigging elections. Those calling for the dialogue between Mnangagwa and Chamisa expect the discussion to lead to the two parties working together or even forming a new GNU similar to the one in 2008 to 2013. Ask these people why the 2008 GNU failed to stop Zanu PF rigging the 2013 and then 2018 elections; they have no clue, why. They had no clue why the 2008 GNU was formed back then and they still have no clue why it was formed now, even with the benefit of hindsight. So they want a new GNU but cannot even say what they want it to accomplished. Even if one was to give those clamouring for political dialogue between Mnangagwa and Chamisa as the solution; the benefit of the doubt and assume they understand the new GNU must implement the democratic reforms designed to end the curse of rigged elections and pariah state. Still, it is futile to expect the proposed new GNU in which Zanu PF and/or MDC Alliance play any meaningful role, much less play the leading one, to implement the reforms. It is naive to expect the new GNU led by Zanu PF and MDC to implement the reforms since they failed to get even one reform implemented in five years during the 2008 GNU for various selfish reasons. The same selfish reasons are just as valid today as they were ten years ago. Worse still, whilst both Zanu PF and MDC leaders acknowledged, tacitly at least, that the 2008 elections were not free, fair and credible. They signed on to the Global Political Agreement agreeing to the implementing of the raft of democratic reforms. This is not the case this time. Mnangagwa has already made the acceptance that the elections were free and fair and himself as the legitimate president a condition for all participating in the political dialogue. And so allowing the political dialogue to go ahead under Mnangagwa's terms is to accept that there will be no meaningful reforms implemented during the life time of the new GNU. What makes the call for Zanu PF and MDC dialogue so sickening is the failure by all those making it to see the call for what it is - grovelling to the politicians to appease them. These people are bending over backwards to allow the politicians to remain in power regardless of the latter's pathetic political and economic records of failure and even one of blatantly rigging the elections. Mnangagwa and his Zanu PF cronies has blatantly denied the people their freedoms and basic rights including the right to a meaningful vote and even the right to life. The nation has allowed the thugs to remain in power to appease them with the tragic economic and political consequences there for all to see. After 38 years of following this foolish policy of appeasement it is sickening that there are still Zimbabweans out there who still want to try it. Zanu PF rigged last July's elections and the only rational solution is to demand that the regime steps down. All attempts by the regime, such as the use of brute force to cow the populous into submission; must be seen for what it is - Zanu PF is holding the nation to ransom. Those seeking to appease Zanu PF by forming the new GNU to legitimise the illegitimate regime must answer why the last GNU was a failure! By appeasing Mnangagwa and Chamisa, they are not doing the long suffering ordinary Zimbabweans any favours; it is disappointing that church leaders are leading in this foolishness and betrayal of the downtrodden.